At Ribbon & Reed Cabinetry we are dedicated to the design, manufacture and installation of custom cabinetry for virtually every room in your home. 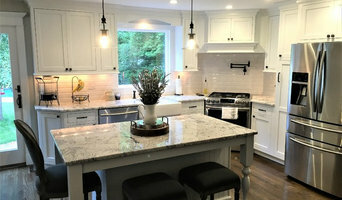 With over 30 years experience in the cabinet construction business, we pride ourselves on listening to you, identifying your needs, and embracing your ideas to create something unique, something just for you. 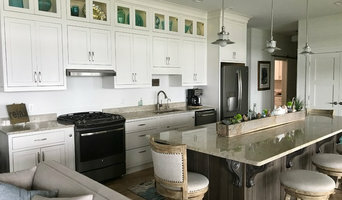 TO SEE MORE OF OUR WORK PLEASE CHECK US OUT ON OUR NKBA PROFILE: <a rel="nofollow" target="_blank" href="https://nkba.org/petersalernoinc">https://nkba.org/petersalernoinc</a> With over 34 National Awards; at Peter Salerno Inc., quality, design, and functionality are our top priorities. Every project we work on is a completely custom piece, designed specifically to our clients needs, wants, and desires. Peter Salerno, Inc. is family-run business stemming from three generations of artisans- not a franchise under a common name. We are committed to providing luxurious and functional spaces that compliment your lifestyle. We offer an exclusive collection of furniture and design. From custom made kitchens and baths, to innovative entertainment centers and elaborate wine cellars- our team strives to deliver a beautiful addition to your home. We are constantly raising the bar by using the newest and most up-to-date materials. Our showroom features the most cutting edge in concrete, stainless steel, reclaimed tin hoods and panels, induction cook tops, LED design, and fiber-optics, as well as a large selection of La Cornue Appliances (including a live display with a working Château 120 and a Flamberge Rôtisserie. NM Design Group is a family owned business where we pride ourselves in our excellent customer service. We are an innovative design and construction company that offers a combination of services to make fulfilling your dream project a reality. We provide a complete architectural plan, design, and rendering of any or all rooms in your home. Trust us to customize all your remodeling needs from design to finish. Make the call and we will do the rest. We look forward to sharing this memorable experience with you. Let our team of creative and dedicated designers guide you through the complicated process of kitchen & bath planning. 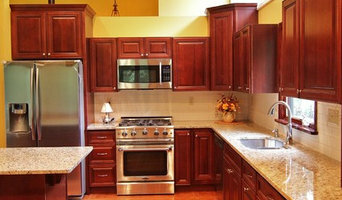 We are your complete custom kitchen and bath resource. Offering innovative design, cabinetry selections in a wide range of styles and prices. This enables us to create a space that is uniquely yours, in your budget and satisfyingly easy. Whether you are beginning to think about making a few modifications or are ready to invest in an entirely new space, we at ProKitchen Design are ready to help you every step of the way. 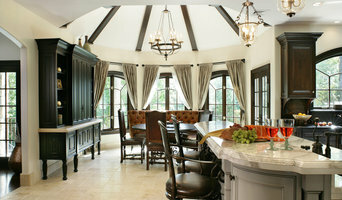 Make Pro Kitchen Design your one stop source.